Transport by 4×4 Land Cruiser throughout the program. Daily breakfast and dinner at the hotels. English or Spanish speaking local guide. Portages in/out the hotels and the airports. 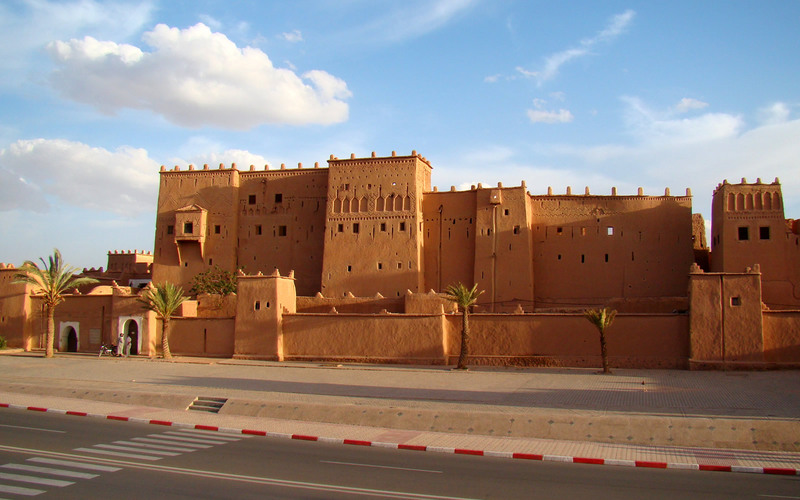 Take your flight AT 675 @ 18:15 From Casablanca airport to arrive Ouarzazate airport @ 19:25. Meeting & assistance provided at the airport. 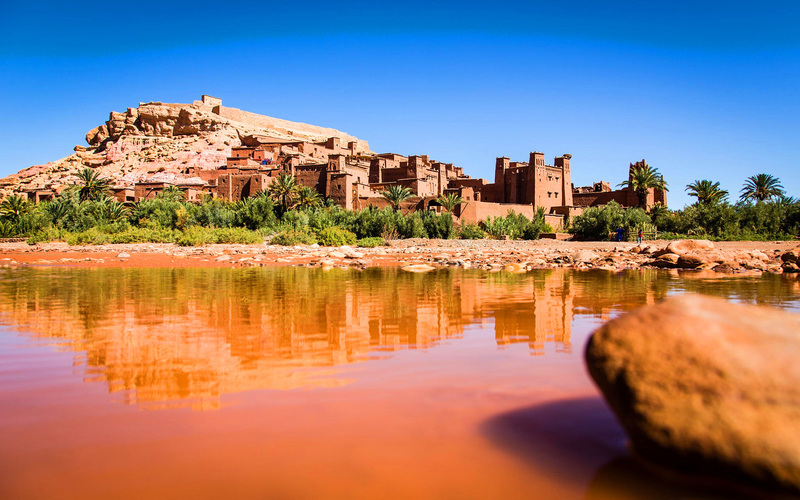 Take a picturesque drive (3 ½ hours max) by your 4×4 Land Cruiser with your driver along the route of 1000 Kasbahs, passing palm grove oasis and kasbah dwellings, through the Dades Valley and the spectacular Gorges of Todra. 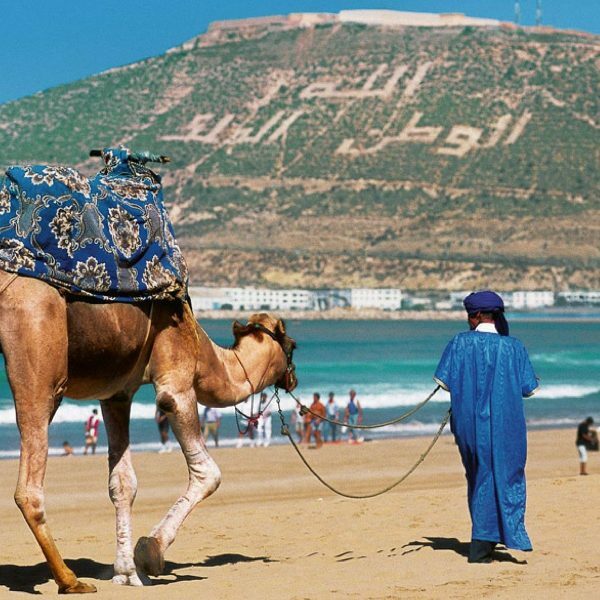 Continue to Erfoud, situated amongst the impressive sand dunes of the Sahara Desert, Erfoud is one of the largest oases in Morocco. 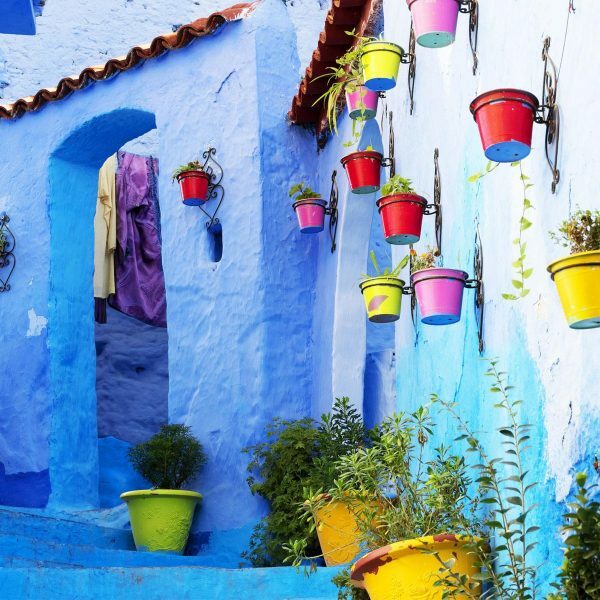 23:00 Arrive to your hotel Kasbah Xaluca for check in & overnight. 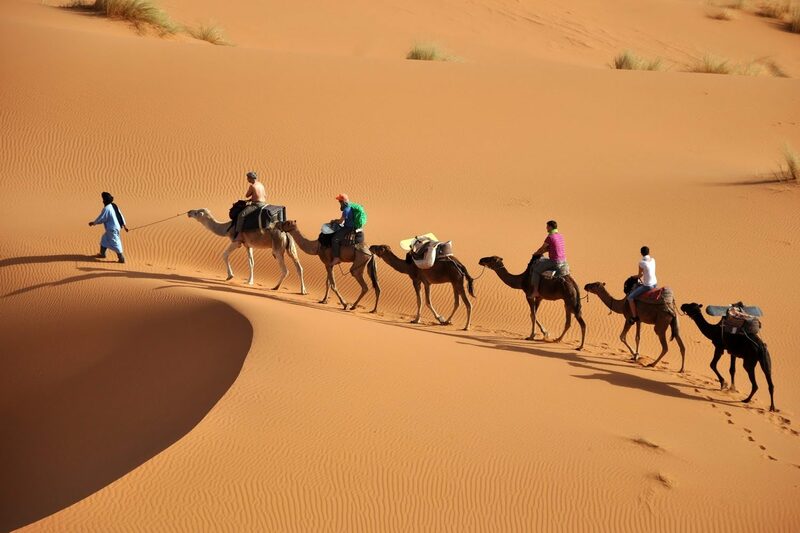 Drive to the nearest oasis for welcome drink then after drive to east side of the dunes, from there you will be transferred to cross the famous Erg Chebbi huge Dunes (Morocco’s only genuine Sahara erg. It’s a magical landscape which deserves much more than just a sunrise glimpse. The dunes themselves are fascinating, changing color from pink to gold to red at different times of the day. It is a great place to appreciate the immense, clear desert sky. 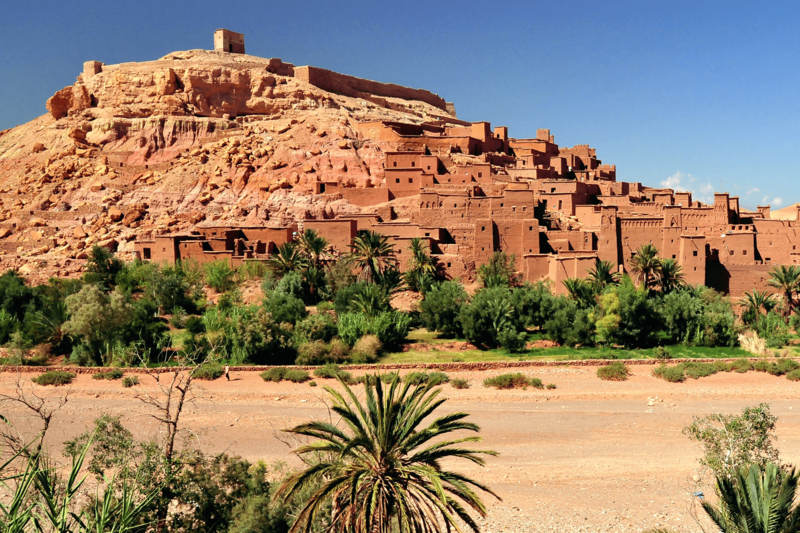 For birth-watchers, this is the best area in Morocco for spotting many desert species, including The desert sparrow, Egyptian nightjar, desert warbler, fulvous babbler, the blue cheeked bee-eater and in spring folks of pink flamingo and other water birds. The dunes of Erg Chebbi are a strikingly strange natural formation. On the top of the flattest area you could imagine, suddenly a long mountain of sand rises. This mountain is surrounded by flat and desolate nature on all sides, and you could end up wondering if it really is real. But so it is, even if its existence is so weird that it has given rise to legends and myths among the locals. 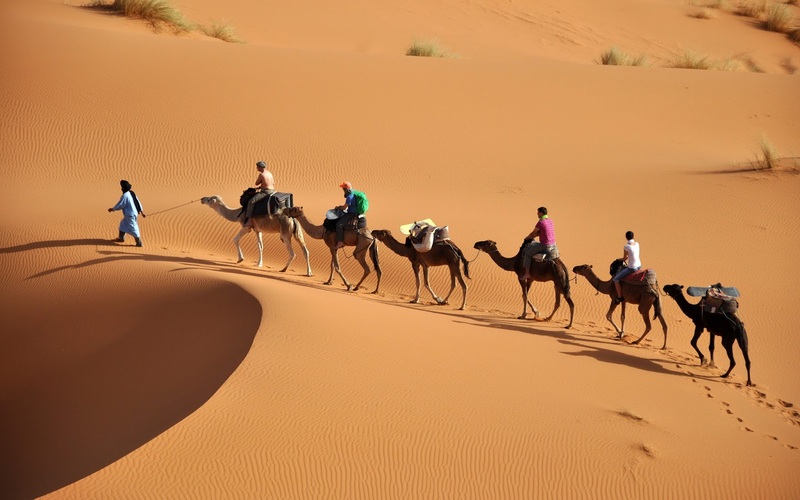 One legend tells us that the dunes of Erg Chebbi were created by God as a punishment to the locals of nearby Merzouga after they refused to give shelter to a woman and her child during a local festival. 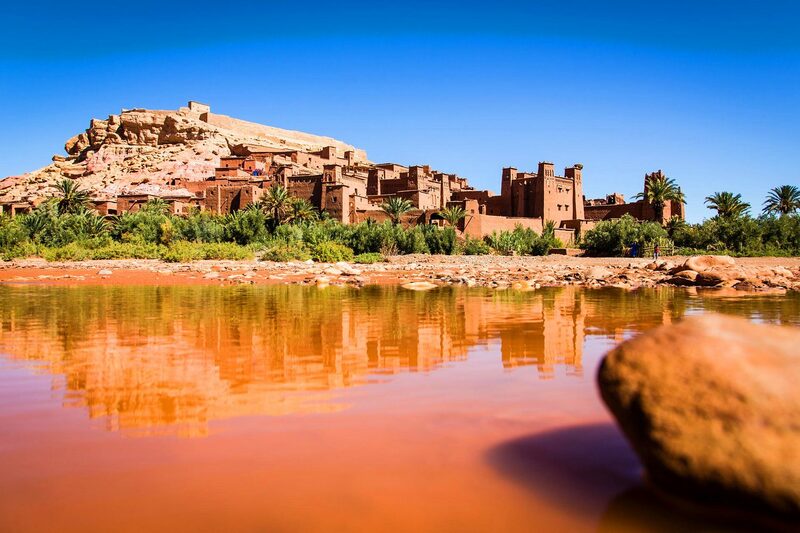 A sandstorm came, and buried the village of Merzouga is it was then. When the sun shines, a strong reflection comes from the stones further away, so that you won’t really believe your eyes when you suddenly see a camel or a man. There are several stories told about these dunes. One is that they are the largest in the world, but that could very well prove to be true. 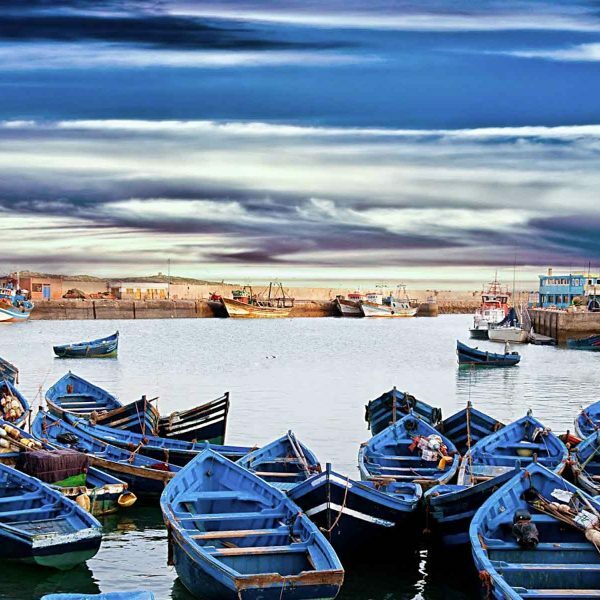 They are the largest in Morocco! Another one is that they can be good for patients with rheumatics-they bury themselves in the sand and stay there all the day. Another one is that the dunes are often used in films and commercials. And that is definitely true! 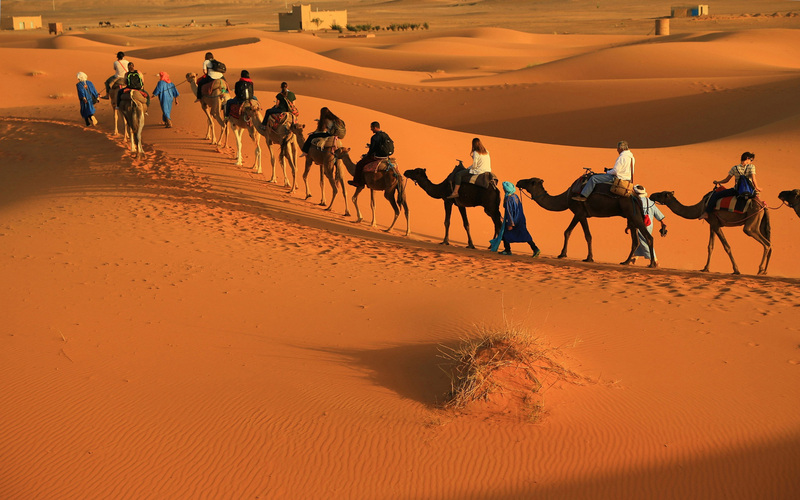 On sunset time, you will be met by a blue man with his camels for a ride between the dunes to reach the last outpost dune to watch one of the most beautiful sunsets. Back to your hotel Kasbah Timboktou at the foot of the dunes for dinner & overnight. 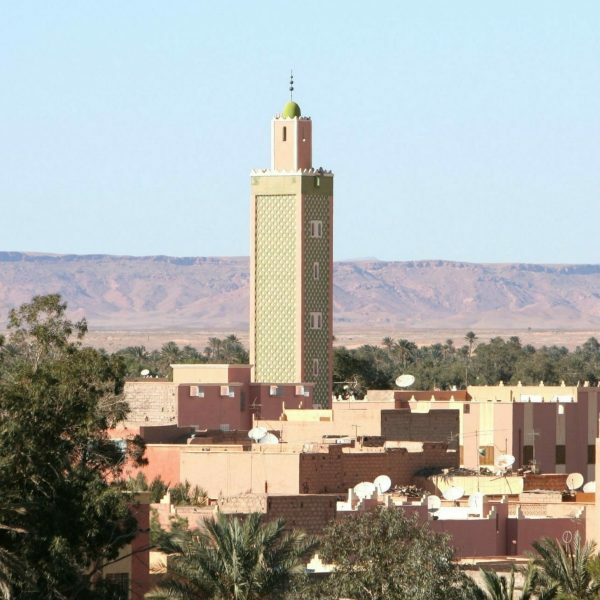 08:00 After breakfast at the hotel, then by 4×4 Land Cruiser to visit Rissani village and its market, where the old trading African/Berber market use to. People use to exchange Gold for salt and sugar. 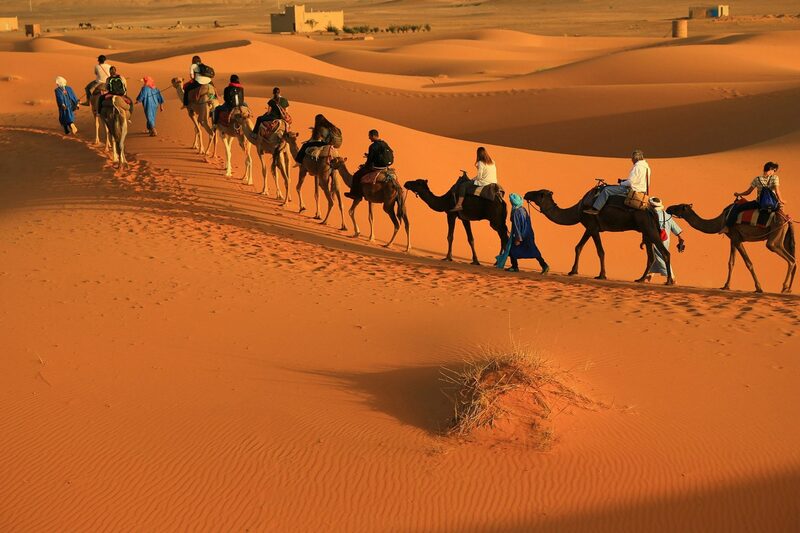 Caravans guided by Touareg (Bluemen) use to come and go to Timbouktou in Mali and the Niger river. 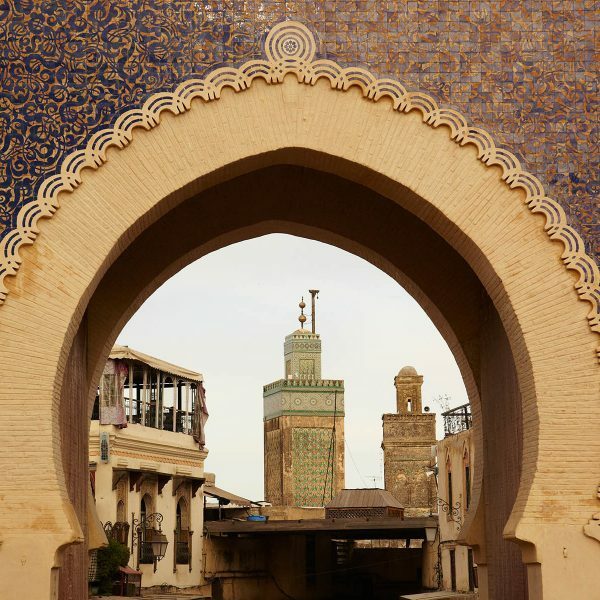 Photo stop at the tomb of the Saint Mulay Ali Charif (the grand father of the Alaouite dynastry). 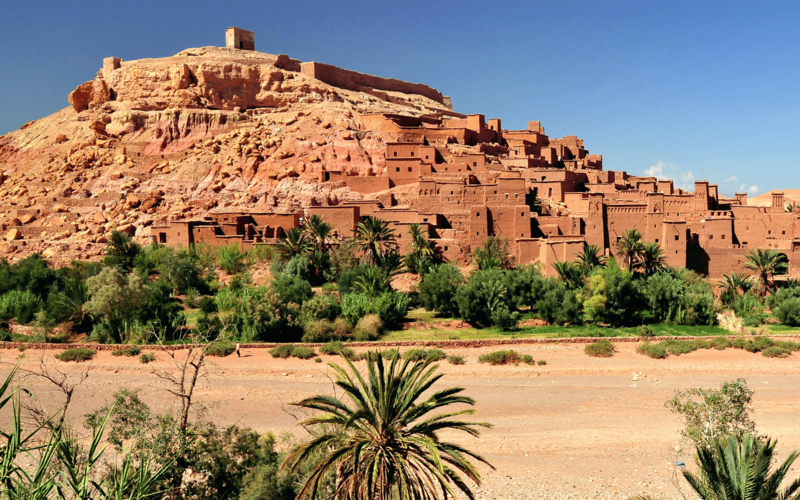 Proceed to Ouarzazate, drive through the Hammad’s flat pebbly plateau of Tinejdad to Tinerhir. This little town which is serves as base for innumerable excursion on foot, mountain bike or in 4WD, among which the most famous is that the Todra Gorges, you will drive through the palm groves to the canyon of few dozen meters wide and 300 meters high (paradise on earth). 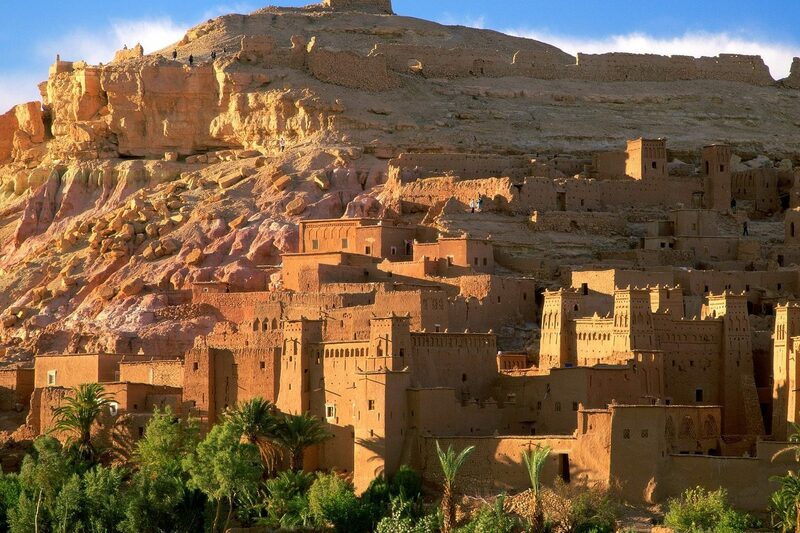 Continue the drive through the Dades Valley, Jbel Saghro and the Valley of Birds, El Kalaa des Mgouna and the Valley of Roses, the oasis of Skoura and its immense palm grooves. Optional lunch at the Canyon local restaurant Yasmina. 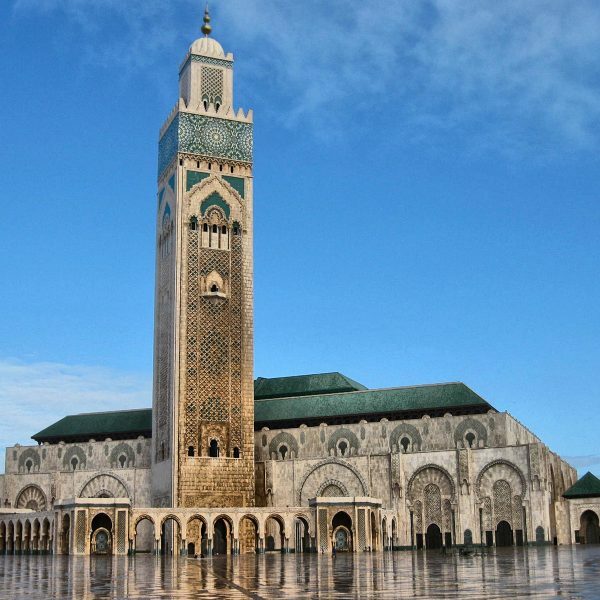 Continue your drive to Ouarzazate airport for your flight AT 674 leaving @ 19:55 to Arrive Casablanca @ 21:05.